Tumor necrosis factor–α (TNF-α) blockers are a popular therapeutic choice in a number of inflammatory diseases. Thus far, five TNF- α blockers have been approved for clinical use (etanercept, infliximab, adalimumab, golimumab. and certolizumab). Despite being considered relatively safe, serious side effects associated with immune suppression have been reported, including central and peripheral nervous system (CNS) demyelinating disorders. It is still elusive whether these events are mere coincidence or a side effect of anti-TNF-α use. In this paper, we review the published case reports of CNS demyelination associated with anti-TNF-α therapy and present the follow-up of our 4 previously reported patients who developed neurologic symptoms suggestive of CNS demyelination after having received anti-TNF-α treatment. We also discuss the possible role of TNF-α blockers in demyelination. Tumor necrosis factor-α (TNF-α) blockers present a revolutionizing therapeutic choice for a number of inflammatory diseases such as Crohn’s disease (CD), ankylosing spondylitis (AS), and rheumatoid arthritis (RA). Several terms such as TNF-α blockers, anti-TNF-α agents, TNF-α antagonists, and TNF-α inhibitors are used interchangeably, all describing the same biological agents. Henceforth in our paper, we will use the term TNF-α blocker for clarity. These agents are more effective than traditional disease modifying drugs (DMDs), controlling disease activity and preventing underlying structural tissue damage. Although they are relatively safe, an increasing number of neurologic side effects have been reported in the literature, consisting of central and peripheral nervous system demyelinating events. These adverse events suggest a possible relationship between anti-TNF-α use and demyelination . However, it remains uncertain whether these episodes are coincidental or causally linked, or how TNF-α blockage may possibly trigger or exacerbate demyelination. In this paper, we review the pathogenic and protective functions of TNF-α, the role of TNF-α blockers in CNS demyelination and the CNS demyelinating cases reported in the literature to be related to anti-TNF-α therapy. We also present the follow-up of our 4 previously reported patients  who developed neurologic symptoms suggestive of CNS demyelination after having received TNF-α blockers. TNF-α is a pleiotropic cytokine, with a wide range of functions: homeostatic, immune, and inflammatory. The beneficial homeostatic functions of TNF-α include defense against pathogens, development of lymphoid organ architecture, resolution of inflammation, tissue regeneration, immune regulation, and inhibition of tumor growth. The pathogenic functions of TNF-α comprise triggering of inflammation, stimulation of vascular endothelium, proliferation of immune cells, and tissue damage [3, 4]. Under physiological conditions, macrophages, lymphocytes (T and B), natural killer cells, dendritic cells, and monocytes produce TNF-α in the periphery , while in the CNS TNF-α is produced mainly by migroglia, neurons, and astrocytes [4, 5, 6, 7]. TNF-α is produced initially as a transmembrane molecule (tmTNF). Subsequently, it is released from cells as a soluble cytokine (sTNF) via regulated cleavage of tmTNF by TNF-α converting enzyme (TACE). Both forms of TNF-α are biologically active and interact with two receptors (TNFR1 and TNFR2) with different affinity. sTNF has a higher affinity for TNFR1, contains a death domain, and mediates apoptosis and chronic inflammation . tmTNF has a higher affinity for TNFR2, activating genes important for cell survival, resolution of inflammation, and even myelination. TNFR1 is expressed in all cell types, whereas TNFR2 is expressed mainly on neurons, immune cells, and endothelial cells [9••, 10, 11]. At low levels in tissues, TNF-α exerts beneficial homeostatic functions, as it enhances host defense mechanisms against intracellular pathogens, particularly mycobacteria . At elevated concentrations, TNF-α can promote inflammation and organ injury . In disease states, TNF-α is considered to be a proinflammatory cytokine that is promptly produced in response to stimuli, both systemically and locally in the affected tissues, predominantly by activated macrophages and monocytes . Moreover, circulating TNF-α crosses the blood brain barrier (BBB) into the brain . Inflammatory stimuli in the CNS induce TNF-α production mainly by microglia, neurons, and infiltrating immune cells [9••]. Five anti-TNF-α blockers are approved for clinical use: etanercept (circulating receptor fusion protein), infliximab, adalimumab, and golimumab (IgG monoclonal antibodies), and certolizumab (PEGylated Fab1 fragment of an IgG1 monoclonal antibody) . Both receptor and antibody based TNF-α blockers act as antagonists by blocking tmTNF interactions with TNFR1/2, and as agonists, by inverting signal leading to apoptosis, cell activation, or cytokine inhibition [5, 16, 17]. Etanercept also binds to lymphotoxin LTα3, which is structurally similar to sTNF, with equivalent or greater affinity than sTNF . Compared with the traditional DMDs, TNF-α blockers are more efficacious, with faster onset of action and more effective control of disease progression. These characteristics have made them an appealing option in refractory cases [18, 19]. TNF-α blockers present a revolutionizing therapeutic choice for inflammatory diseases such as RA, AS, plaque psoriasis, psoriatic arthritis, juvenile polyarticular rheumatoid arthritis, and inflammatory bowel disease (CD and ulcerative colitis). TNF-α blockers are also used off-label for a number of other inflammatory conditions such as sarcoidosis, hidradenitis suppuritiva, Adamantiades-Behcet's disease, pyoderma gangrenosum, dermatomyositis, scleroderma, noninfectious uveitis, and others [20, 21]. Novel indications for the use of TNF-α blockers are under investigation, and new TNF-α blockers are being evaluated. Initial studies in experimental autoimmune encephalomyelitis (EAE) animal models of multiple sclerosis (MS) showed beneficial effects of TNF-α blockers. Subsequently, given their anti-inflammatory effects, clinical trials of infliximab  and lenercept  (a receptor-based TNF-α blocker) were carried out in people with MS with surprisingly unfavorable results. Specifically, in an open label phase I trial with infliximab, 2 patients with rapidly progressive MS showed increased disease activity and MRI lesion load . Furthermore, a randomized double-blind placebo-controlled multicenter trial in 168 relapsing-remitting MS patients with lenercept was stopped prematurely due to a dose-dependent increase in relapse rate, attack duration, and severity of exacerbations . These trials suggested that non-selective inhibition of TNF-α is harmful in MS and that TNF-α exerts both potent pro-inflammatory effects and essential protective functions in the CNS under pathological conditions [9••]. The efficacy of TNF-α blockers in inflammatory conditions has increased their use. Despite their relatively safe profile, well-known adverse events include injection site reactions, risk of infections (especially tuberculosis reactivation), congestive heart failure, hemocytopenia, and T-cell lymphomas [24, 25]. Reports of autoimmune diseases, including lupus-like syndromes and vasculitis , diabetes mellitus, psoriasis, interstitial lung diseases, sarcoidosis, autoimmune hepatitis, uveitis, antiphospholipid syndrome, myositis, and myasthenia gravis have also been published [1, 27, 28, 29]. With the widespread use of TNF-α blockers, a growing number of demyelinating events have been reported, including CNS demyelinating disorders [MS, optic neuritis (ON), acute transverse myelitis (TM)], as well as peripheral nervous system disorders (Guillain-Barré syndrome, Miller Fisher syndrome, chronic inflammatory demyelinating polyneuropathy, multifocal motor neuropathy with conduction block, mononeuropathy multiplex, and axonal sensorimotor polyneuropathies) [1, 30]. It still remains unclear whether these events are coincidental or are actually side effects of anti-TNF-α use. Even more elusive remains the underlying pathogenic mechanism . The pleiotropic functions of TNF-α often show contradictory effects, particularly in the CNS. TNF-α and its receptors can either promote neuroinflammation and secondary neuronal damage, or exert protective functions under pathological conditions. Furthermore, TNF-α exerts distinctive actions at different stages of autoimmune demyelination: sTNF, but not tmTNF, promotes inflammation and disease onset, whereas sTNF and/or tmTNF have protective functions in established disease by reducing the extent and severity of autoimmune inflammation. sTNF mediates the proinflammatory effects of TNF-α via TNFR1 signaling. TNFR1 plays a critical role for the onset of CNS autoimmune disease, through induction of a pro-inflammatory environment in the CNS, but subsequently suppresses local inflammation either indirectly, mediating neuroprotection, or directly, promoting repair processes [9••]. Elevated production of TNF-α was observed in patients and animal models of MS. TNF-α overexpressing transgenic mice develop spontaneous demyelination that reverses with anti-TNF-α administration [9••], whereas demyelination is delayed in TNF-α deficient mice . TNF-α has been found to increase permeability of the BBB  and high levels of TNF-α were found in active central and peripheral demyelinating lesions [32, 33] as well as in the serum, cerebrospinal fluid (CSF), and brain plaques of MS patients  correlating with disease severity or exacerbation [35, 36]. It was recently shown that TNF-α is predominantly produced by both macrophages and microglia during acute EAE and is decreased during remission, whereas TNF-α is sustained by infiltrating macrophages in progressive EAE, enhancing clinical disability and CNS inflammation [37•]. TNF-α has also been implicated in promoting macrophage polarization to a pro-inflammatory M1 phenotype [38•]. Additionally, TNF-α seems to exert a protective role in the periphery and a pathogenic role in the CNS by suppressing encephalitogenic T cell production of Th1 and Th17 in lymphoid organs, while promoting immunocyte infiltration in the CNS through chemokine production, exacerbating disease severity . Inhibition of both sTNF and tmTNF does not seem to protect against demyelination . Besides being crucial in host defense and inflammation and accelerating acute demyelinating processes, TNF-α is also necessary for triggering remyelination [8, 39] and promoting the proliferation of oligodendrocyte precursor cells . In later stages of MS, TNF-α has shown immunosuppressive properties. In early studies of animal models, inhibition of TNF-α resulted in EAE improvement or protection against demyelination [31, 41, 42, 43]. In recent studies, selective inhibition of sTNF was found to be beneficial during EAE, implying that the protective effects of TNF-α are exerted through the interaction of tmTNF with TNFR2 . Evidence from EAE models suggest that remyelination in the CNS necessitates the expression and activity of TNFR2 and CXCR4 by oligodendrocyte progenitor cells, promoting their proliferation and differentiation into mature oligodendrocytes , and that selective inhibition of tmTNF/TNFR2 leads to demyelination and oligodendrocyte apoptosis . Interestingly, MS susceptibility has been associated with a single nucleotide polymorphism (SNP) in a gene, encoding TNF receptor 1 (TNFR1), the TNFRSF1A gene. This SNP in TNFR1 leads to expression of a soluble form of TNFR1 that inhibits TNF-α in humans and this may play a role in MS development in some individuals, possibly mimicking the effects of TNF-α blockers . TNF-α blockers cannot penetrate the intact BBB to suppress demyelination but they can enhance demyelination through increased ingress of peripheral autoreactive T-cells into the CNS (lack of entry theory). This theory provides a possible explanation for the failure of anti-TNF-α blockers in reducing demyelination and for their effect on aggravating MS [3, 47]. TNF-α blockers may aggravate CNS demyelination by decreasing TNFR2 receptors, which are necessary for the proliferation of immature oligodendrocytes and myelin repair [48, 49, 50, 51, 52, 53, 54]. TNF-α blockers could alter cytokine responses by downregulating interleukin-10 and upregulating interleukin-12 and interferon-γ, creating a profile similar to that of MS patients [54, 55•, 56]. TNF-α blockers may deactivate TNF-α systemically, but not within the CNS (due to BBB impermeability), leading to a high concentration of TNF-α in the CNS (“sponge effect”) [3, 47]. There may be systematic dysregulation of TNF-α in patients with RRMS, as was shown in a recent study of Mausner-Fainberg et al [57••], in which increased serum neutralization capacity of TNF-α in RRMS patients was observed. These findings offer a possible explanation for the demyelinating events after TNF-α blockade. Finally, TNF-α blockers may unmask an underlying latent infection, which can lead to autoimmune demyelination [5, 47, 58, 59]. We present the follow-up of our 4 previously reported patients, 2 with RA and 2 with AS who developed neurologic symptoms following anti-TNF-α exposure . We also review the cases of CNS demyelination associated with TNF-α blockers, published in the medical literature between January 1990 and August 2016. We conducted a PubMed literature search of available material on documented CNS demyelination in patients receiving TNF-α blockers. Articles from PubMed were obtained using the search terms “Demyelinating Disease,” “Multiple Sclerosis,” “Optic neuritis,” and “Tumor Necrosis Factor-α.” Including our 4 patients, 122 cases with CNS demyelinating events during anti-TNF-α treatment were identified: 69 case reports and 53 cases from the Spanish Registry of biological therapies in rheumatic diseases and an adverse event data base [30, 49, 50, 56, 60, 61, 62, 63, 64, 65, 66, 67, 68, 69, 70, 71, 72, 73, 74, 75, 76, 77, 78, 79, 80, 81, 82, 83, 84, 85, 86, 87, 88, 89, 90, 91•, 92••, 93]. All cases are summarized in Table 1; 75 patients were female (61%) and 47 were male (39%) with a mean age of 45.29 years (SD: 14.89). Only 3 patients were reported to have a family history of MS; 61 patients (50%) had RA, 14 (11%) had AS, 20 (16%) had PsA, 10 (8%) had CD, and 18 (15%) had other rheumatologic and inflammatory diseases. Fifty (41%) patients were treated with infliximab, 57 (47%) with etanercept, 19 (16%) with adalimumab, and 1 (1%) with golimumab. Three patients (2.5%) received more than one TNF-α blocker successively. Seven patients (6%) were receiving combined therapy with TNF-α blockers and methotrexate (MTX) at the onset of symptoms; 28 patients (23%) had received different DMDs before the initiation of anti-TNF-α treatment, mostly MTX. The mean time of exposure to TNF-α blockers, before the onset of symptoms, was 17.61 months (SD: 18.07, range: 3 d–6 y). According to previous studies, the interval between anti-TNF-α initiation and onset of symptoms was approximately 5 months (1 wk–15 mo) . At presentation, diagnosis of MS was confirmed in 26 patients (21%), ON in 46 (38%), monophasic demyelinating event (MDE) in 37 (30%), progressive multifocal leukoencephalopathy (PML) in 3 (3%), tumefactive lesions in 2 (2%), TM in 6 (5%), and leukoencephalopathy in 2 (2%); 39% of the cases were treated with pulse steroid therapy (48 patients), whereas oral steroids were administered to 12% of patients (15 patients). The mean follow-up time was 12.78 months (SD 12.71). Interestingly, 7 patients were diagnosed with MS after longer follow-up (mean follow up 20.43 months). TNF-α blockers were discontinued in all except 2 patients, where available information is missing. In 1 patient treatment was restarted with a positive rechallenge phenomenon. Complete recovery after the initial therapy was reported in 44 patients (36%) and partial in 26 patients (21%), whereas no resolution of symptoms was described in 34 patients (28%). Two patients with PML (1.6%) and 1 with MDE (0.8%) died. F female, M male, mo months, y years, wk weeks, d days, CD Crohn’s disease, RA rheumatoid arthritis, Ps psoriasis, PsA psoriatic arthritis, UC ulcerative colitis, CIAU chronic idiopathic non-granulomatous anterior uveitis, NLD necrobiosis lipoidica diabeticorum, IFX infliximab, ETN etanercept, ADM adalimumab, ON optic neuritis, MS multiple sclerosis, PML progressive multifocal leukoencephalopathy, MDE monophasic demyelinating event, SUL sulfasalazine, LEFL leflunomide, PREDN prednisolone, HCQ hydroxychloroquine, NSAIDs non-steroidal anti-inflammatory drugs, AZA azathioprine, MES mesalazine, CYC cyclophosphamide, 6-MP 6-mercaptopurine: MTX: methotrexate, MITO mitoxandrone, GST gold sodium thiomalate, D-P d-penicillamine, Buc bucillamine, Sal salazosulfapyridine, NR not rated, gd gadolinium enhancement ±, SC spinal cord, SCC cervical spinal cord, nm normal, TM transverse myelitis, PN peripheral neuropathy, NR not reported, TNF tumor necrosis factor, UA unilateral, IVIG intravenous immunoglobulin, OCB oligoclonal bands, PLEX plasma exchange. Our patients had been treated with TNF-α blockers previously or were taking them at the onset of symptoms; thus, a correlation between the treatment and demyelination was speculated. Anti-TNF-α treatment was discontinued as soon as demyelination was suspected and steroids were administered intravenously with consequent clinical improvement. During the 5-year follow-up, 2 patients remained stable without relapses or new MRI lesions, whereas the other 2, both male, had clinical relapses and radiological deterioration with new brain and spinal cord (SC) demyelinating lesions. One of them required pulsed steroid treatment, whereas the other had a minor relapse that subsided without therapy (Fig. 1). It is remarkable that both these patients had a family history of autoimmune diseases, a fact that could indicate an increased susceptibility of CNS demyelination, irrespectively of anti-TNF-α treatment  and should be taken into consideration during the clinical evaluation of the patients. On the other hand, anti-TNF-α agents could potentially aggravate demyelination in genetically predisposed patients (such as first degree relatives of MS patients as in our second case). Therefore, the assumption that in our cases treatment might have unmasked pre-existing latent MS seems plausible. Nevertheless, such an association could not be established, since neurologic examination or brain MRI had not been performed prior to anti-TNF-α treatment initiation. None of our patients received specific MS treatment, although all of them were treated with immunesuppressants for their initial autoimmune disease (AS or PsA), after the presenting demyelinating event. TNF-α blockers are currently recommended for patients not responding to at least 2 different DMDs and seem to have an excellent and sustained therapeutic outcome: 80% of patients improve rapidly and 50% have complete remission [94, 95]. Patients who receive TNF-α blockers, therefore, are refractory to standard medical therapy. Unfortunately, most reports of demyelinating events after administration of TNF-α blockers focus on the clinical evolution of demyelination and do not provide information on the course of the underlying rheumatic or inflammatory disease. Based on the data collected, it appears that the rheumatic/inflammatory disease follows an independent course and most patients continue treatment with DMDs, often with poor results . Although CNS demyelination after treatment with TNF-α blockers is not necessarily associated with the duration of the therapy and drug discontinuation does not always lead to improvement , treatment should be discontinued at the appearance of unexplained neurologic symptoms. On the other hand, there are no clear recommendations for the management of the CNS demyelinating process. In most cases, the therapeutic regimen is based on the standard guidelines for CNS demyelination. Steroids are usually administered, either pulses of methylprednisolone or oral glucocorticosteroids, with good results in the short term, although the course of the demyelinating disease appears unpredictable [1, 30]. The large number of CNS and peripheral demyelinating disorders after TNF-α blocker administration published in the literature [2, 30, 49, 50, 51, 52, 53, 54, 55•, 56, 57••, 58, 59, 60, 61, 62, 63, 64, 65, 66, 67, 68, 69, 70, 71, 72, 73, 74, 75, 76, 77, 78, 79, 80, 81, 82, 83, 84, 85, 86, 87, 88, 89, 90, 91•, 92••, 93] and the 2 clinical trials of TNF-α blockers in MS patients showing an increase of demyelinating events [22, 23] raise the question of a possible association. Moreover, many theories support a possible correlation of non-selective TNF-α blockade with demyelination. Some of the published cases meet the Miller criteria , attributing the CNS demyelinating events to the TNF-a blockade. According to Miller criteria, the definition of drug-induced illness comprises 8 elements and requires the presence of at least 4: temporal association, improvement of symptoms after treatment discontinuation, positive rechallenge phenomenon, and other CNS demyelinating events reported in the literature . In most cases, a temporal relation to anti-TNF-α treatment is suggested , with resolution of symptoms after treatment discontinuation [27, 97]. Few cases show a rechallenge phenomenon and even fewer argue in favor of the onset of a demyelinating process directly after anti-TNF-α exposure . The peak age of MS onset is 20–40 years old, whereas the mean age of RA onset is 40–60 years old. In our review, the mean age of the patients who developed CNS demyelination was 45.47 years. This delayed onset of demyelination could suggest a possible association with anti-TNF-α use. Although over 2 million patients with rheumatic and other chronic inflammatory diseases have been treated with anti-TNF-α therapies [98••], the overall number of the published demyelinating events is relatively small. In initial reports, the estimated risk of CNS demyelination after anti-TNF-α therapy ranged widely between 30% and that of the general population [30, 58, 69]. Interestingly, randomized controlled trials, developmental and post-marketing programs, and retrospective long-term safety studies revealed no increase of demyelinating events compared with the actual incidence of MS [27, 99, 100]. A Danish population-based cohort study of IBD patients exposed to TNF-α blockers showed a 2-fold increase in relative risk, but a low absolute risk of CNS demyelination. Patients with autoimmune diseases could be genetically prone to develop another autoimmune disease , a fact that might predispose them to CNS demyelination regardless of anti-TNF-α use. On the other hand, the use of such therapies could merely unmask latent MS . Moreover, demyelination could be part of an overlapping syndrome with other rheumatologic diseases. Although RA patients showed no increase in latent demyelination , IBD patients appeared to have a high occurrence of CNS T2 white matter lesions and a higher risk of developing CNS demyelination [77, 102, 103, 104, 105]. Despite the fact that several case reports revealed a higher prevalence of RA, psoriasis, and goiter in MS patients [52, 53, 54, 55•, 56, 57••, 58], no further accumulation of autoimmune diseases was found in a multi-center population-based study . TNF-α blockers are therapeutic options for patients who have already received treatment with a number of other immunosuppressive agents, most commonly methotrexate. Although methotrexate is an immunosuppressant extensively used in MS, it has been associated with demyelinating events at high doses and in combination with cranial radiotherapy . The rechallenge phenomenon could be simply explained by the relapsing-remitting nature of MS . On the other hand, most of the patients who were retreated with TNF-α blockers after a demyelinating event did not experience new neurologic symptoms. The interval between treatment administration and symptom initiation varies greatly, from 5 months up to 4 years . In the presently reviewed cases, symptoms appeared after a mean exposure time of 17.61 months. However, given that the anti-TNF-α effect could last longer than its half-life, resulting in delayed side effects , symptoms may even emerge after treatment cessation . In most published cases, demyelination was either slowly progressing or stopped after anti-TNF-α discontinuation. This could suggest that anti-TNF-α therapy exerts a protective effect in patients already suffering from latent MS, or has a short lasting harmful impact. Anti-TNF-α blockers have reshaped the treatment of rheumatoid and autoimmune diseases, being the most effective drugs in our therapeutic armentarium. However, TNF-α functioning, especially in the CNS, is still incompletely understood, setting restrictions on their unlimited use. To date, the reported cases of demyelination address the possibility of a causal association. 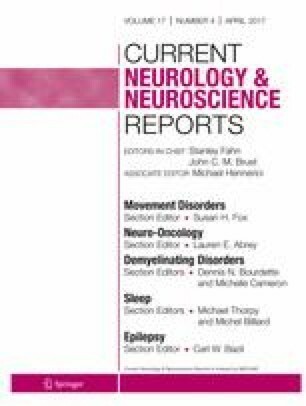 Our previous study raised the question whether the demyelinating events in patients who had previously received TNF-α blockers were the result of uncovering latent MS, onset of a novel demyelinating event (MS or MS-like syndrome), or were merely an accidental coexistence of the 2 disorders. Long-term follow-up of these patients is required to properly diagnose, determine the clinical course, and point out the potential differences from typical MS. Complete symptom remission after therapy withdrawal or a positive rechallenge phenomenon could prove causality, although the nature of MS, with relapses and remissions of symptoms, argues against such a relationship. The complexity of the biological functions of TNF-α further complicates the issue. Although several theoretical explanations of demyelination after TNF-α blockade have been proposed, the relation of these events with the use of TNF-α blockers remains to be elucidated. Nevertheless, according to the current guidelines, avoiding the use of anti-TNF-α therapy is recommended in patients with a history or familial occurrence of MS or other demyelinating diseases. Furthermore, in case of appearance of neurologic symptoms, the patient should undergo a thorough neurologic assessment (level of evidence III and a grade of recommendation B) . Besides those with a family history of CNS demyelination, patients with familial occurrence of systemic autoimmune diseases (as our first case) might also be at increased risk of CNS demyelination with anti-TNF-α treatment. Although MRI imaging of the brain before starting anti-TNF-α treatment is not recommended , it could be useful in revealing possible silent demyelinating lesions , especially in patients with a family history of MS or systemic autoimmune diseases. We propose careful clinical evaluation of candidates for TNF-α blockers, including neurologic assessment before drug initiation and close neurologic monitoring, in order to diagnose a possible demyelinating condition in as timely a manner as possible, especially in high risk patients. Anti-TNF-α therapies undoubtedly are an excellent therapeutic choice in refractory inflammatory diseases. On the other hand, considering the possibility of demyelination, more specific TNF-α-targeting drugs might be safer. Anti-TNF-α therapies that either target TNFR1 while sparing TNFR2 signaling selectively, or inhibit sTNF (currently under investigation) could potentially minimize the adverse events in the CNS. Furthermore, based on the observation that TNFR2 antagonizes TNFR1 signaling, either TNFR2 agonists or increased expression of TNFR2 by gene therapy might be beneficial . The possibility of a more susceptible patient population that should be cautiously treated with TNF-α blockers must be taken into account, and in these cases the detection of a potential predictive marker could be helpful. Whether TNF-α blockers directly cause demyelination (either with a progressive or a monophasic course) or they trigger pre-existing demyelinating predisposition, still remains controversial. Unfortunately, only few patients with a satisfactory follow-up are reported in the literature. Systematic and long-term follow-up of affected patients might shed light to these still unanswered questions and help distinguish which patients will safely benefit from anti-TNF-α treatment for their inflammatory disease. Furthermore, elucidation of the exact mechanism of the apparently paradoxical response to TNF-α blockers in MS might improve our understanding of the pathophysiology of MS.
Elissavet Kemanetzoglou and Elisabeth Andreadou declare that they have no conflict of interest.